Apart from the banks, San Francisco-based Wells Fargo Trust Services and the United Arab Emirates' state-run Dubai Aerospace Enterprise have also sent notice to the national carrier. Debt-laden Air India has defaulted on government-guaranteed loans given to it by three banks. According to a report in the Business Standard, these banks and two aircraft leasing firms have issued default notices to the state-run airline and have threatened to take legal recourse if dues are not cleared. Among the banks that have served the notice to Air India are Standard Chartered bank, Dena Bank and Bank of India. According to the report, these three banks have raised concerns over outstanding interest payment of more than Rs 800 crore. In its communication to Air India, Wells Fargo Trust said that an event of default has occurred as the airline has not paid lease rental payments for over two months on three Boeing 787 Dreamliner aircraft, the business daily reported. Dubai Aerospace Enterprise has served a similar notice to Air India's regional arm Alliance Air for pending rental payments on four ATR 72 aircraft. After the RBI's February notification, if any company fails to pay instalments for three consecutive months, the banks will have to classify that account as NPA. At the end of March 2017, Air India had a debt burden of more than Rs 48,000 crore. This year in June, the state-run airline sought proposals for short-term loans worth Rs 1,000 crore to meet urgent working capital requirements. It also borrowed Rs 6,250 crore from various banks between September last year and January this year for immediate requirements and other needs. 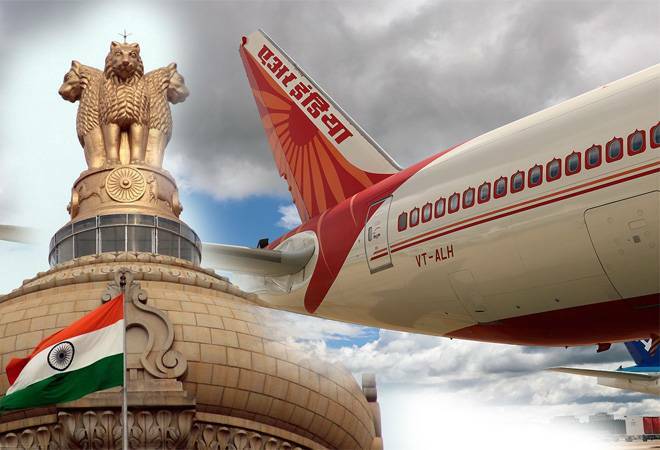 Recently, Air India asked the government to restore the equity infusion after its strategic disinvestment bid failed to take off in May. In April 2012, Congress-led UPA regime had approved a Turnaround Plan (TAP) as well as a Financial Restructuring Plan (FRP) for Air India. Under the turnaround plan, Air India is to receive a total equity infusion worth Rs 30,231 crore up to 2021. So far, the airline has received Rs 27,195.21 crore worth equity infusion till date. The carrier had been receiving about Rs 3,000-4,000 crore equity infusion on an average per fiscal from the government till 2013-14. However, after that the amount was gradually reduced. For 2018-19, the airline has been allocated Rs 650 crore. Last week, Minister of State for Civil Aviation Jayant Sinha informed that Parliament that all government guaranteed loans and interests thereon were being paid by the government by way of equity infusion into the airline. The Minister said that under the financial restructuring plans, high cost of working capital loans have been converted into long term debt carrying lesser rates of interest so as to reduce the financial burden on Air India.